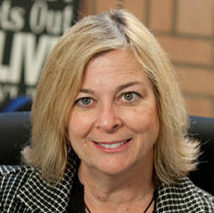 Susan Enguidanos, PhD, is an associate professor at the USC Davis School of Gerontology. Her research in palliative care focuses on the development and testing of longitudinal models of palliative care and promoting access to these models among diverse populations. She has conducted extensive research on a home-based palliative care program that received a national Kaiser Permanente Award for quality and has been replicated widely. Enguidanos also has conducted numerous studies investigating ethnic variation in access to and quality of care as well as examining patient and caregiver attitudes and beliefs toward hospice care. The impact of her research has been far-reaching, resulting in the development of programs that are improving the delivery of healthcare nationally for people with serious illness. She is currently investigating models of care that can provide longitudinal palliative care for seriously ill patients and theoretical approaches to improving consumer awareness of palliative care services.